The younger members of today’s workforce are better educated and have different expectations of what their working life should be. Research shows that younger employees want their leaders to appreciate and engage them, and to help them meet their career development goals. That is why the top-down autocratic style may only work for some organisations and, even then, only for a short while. In order to manage people effectively, 21st-century leaders need to adopt a more consultative approach. The consultative leadership style can be learned. This will require a paradigm shift from your top-down leadership approach where you give orders to your subordinates and expect them to carry out your instructions. The top-down approach is not necessarily a bad one. Sometimes you may have to use this leadership style when you are working with an inexperienced team or if your organisation is new and people are unclear about its direction and are waiting for a cue from you. However, once you and your people are clear about the objectives, you can switch management styles and become a consultative leader. To be a consultative leader, you will need to develop some specific traits. You also need to be positive and enthusiastic about your new management style. When your subordinates become aware of the changes you are making, they will gravitate towards working with you rather than for you. This is the first trait of a consultative leader, and it involves trying to understand what makes your subordinates tick. You have to assess their strengths and weaknesses and coach them on how to focus on what they are good at. In his book, Whale Done!, management expert Kenneth Blanchard made a case for catching people doing things right and acknowledging them. He believed that many organisational cultures were geared towards catching people doing things wrong. Blanchard referred to how whales in captivity are taught by their trainers to perform amazing feats like jumping out of the water and into a hoop of fire. The principle to learn here was positive reinforcement — catching the animals doing things right and rewarding them for it. Likewise, people appreciate a leader who is able to acknowledge their successes instead of always focusing on their failings. To get people to perform at their peak and work in unison requires that you, their leader, set them free to do what they do best. 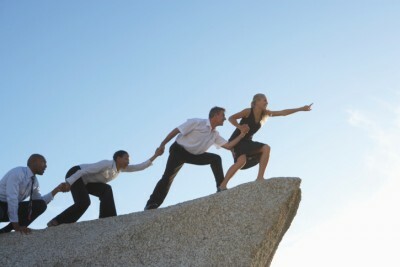 Your role as a consultative leader is to act as a mentor and guide them in the direction you want them to go. After this, your responsibility is to maintain the momentum. This way, you will get the best out of your people as they will become more creative and resourceful when you are not continually looking over their shoulders.